For me being a Pagan Parent means that I celebrate Pagan holidays with my children and the family as a whole (I also practice as a Solitary, am an initiated Priestess and sometimes create and attend public rituals when I can) There are some rituals and spells the kids and I do together. Celebrating the New and Full Moons are an example of when it’s just me and the kids. The Esbats usually occur on weeknights which can be a problem during school and work schedules. I find that celebrating these observances with my younger children works best after school. This is a timing issue when my husband is still at work and my older children are at other after school activities or work as well. Other celebrations include the whole family (my husband and our older children). These are more easily planned for the whole family since those celebrations are more easily planned for the weekend or during vacation times such as Winter break, Spring break, and Summer vacation. Rituals are a way to show honor and respect according to a particular Sabbat, Esbat, or other observance and can be widely varied according to tradition, religion, or purpose. Our family ritual blends a series of actions that are performed in a certain order with the use of ritual tools and activities performed in a consecrated circle. There is a basic outline that we follow but the ritual itself is always different. There is a basic fundamental point I need to make and that is, Planning is one of the most important keys to success for creating a ritual, be it family, solitary, coven, or public. I cannot stress this enough. Please Plan Ahead! In my post about the November Full Moon House Blessing I wrote candidly about not being prepared. I’ve been doing this for a long time. I have been a mom for 24 years so I knew better than to not be prepared. I am not one to call myself an expert but I am considered to be experienced in the ways of Paganism, Ritual, and Spellwork. I am also experienced in parenting. I love being a mom and teaching my children about life, especially the things I am passionate about. They are constantly learning and their quest for knowledge seems boundless. To see true delight and wonder in a child’s eyes is a remarkable experience that I am always striving to create. I too am constantly learning, and a lot of what I continue to learn are things my children teach me. Learning from our children is one of many beautiful gifts they give to us. While planning things for my family for the Wheel of the Year I try and keep things focused and SIMPLE. I have found over the years that simplicity allows for more flexibility and spontaneity which in turn leads to more fun. And fun is what life should be about when teaching children about anything. 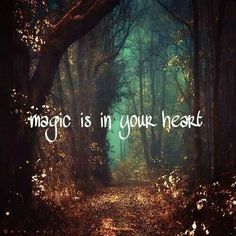 As an eclectic Pagan Mom, I also use aspects of Wicca, New Age, and Witchcraft in my Spirituality and they are an important aspect of my ritual and spellwork. Eclecticism is what keeps my spirituality in sync and makes things more interesting by always having a variety of options and ideas at hand. This has helped me immensely in not only my personal ritual planning but with rituals created with and for my children and my family as a whole. No child that I know likes to follow a long procession of scripts and steps that can take hours to get through. The key to keeping children interested is keeping them involved with each step of the process. As my children get older I give them more responsibility to what they desire in the ritual. And because it’s a family celebration it is a joint venture that everyone has a say in. Allow there to be smiles, it’ll flow better and your children will be more excited each time a festivity is being planned. Even a giggle here and there (when something truly funny happens, and with children it most certainly will) is acceptable as long as it’s not made with sarcasm, carelessness or disrespect for others. Mistakes aren’t frowned upon when they are honest mistakes. I have yet to be a part of any ritual where there wasn’t a little mistake, sometimes a big one, that happens. That’s life. And life is what our spirituality is celebrating. I’m not saying that observances of any particular event should be lacking in thoughtfulness or insincere in any way. That is showing disrespect for the Goddess and makes the whole point of ritual a waste of time. On the other hand it should not be somber and dull which leads to boredom and lack of attention. It should be planned with both thoughtfulness, respect, gratitude, and sincerity. Above all, it should be created with Love. If these things are the focus of creating your ritual, be it family, coven, solitary, or a public setting, then it will be a successful spiritual experience for everyone involved. Keep it simple. Simplicity is the key to having fun. Make it flexible. Trying to keep to a strict script can quickly lead to boredom. Be creative. Introduce new concepts to keep it interesting and allow for spiritual growth. Keep the children involved in the planning. Let them know that their ideas are important. Allow for smiles. Being too serious can be a real downer. Mistakes happen. Just go with it. Create the ritual with respect, thoughtfulness and sincerity. Above all, create it with Love.